Deadline TONIGHT! 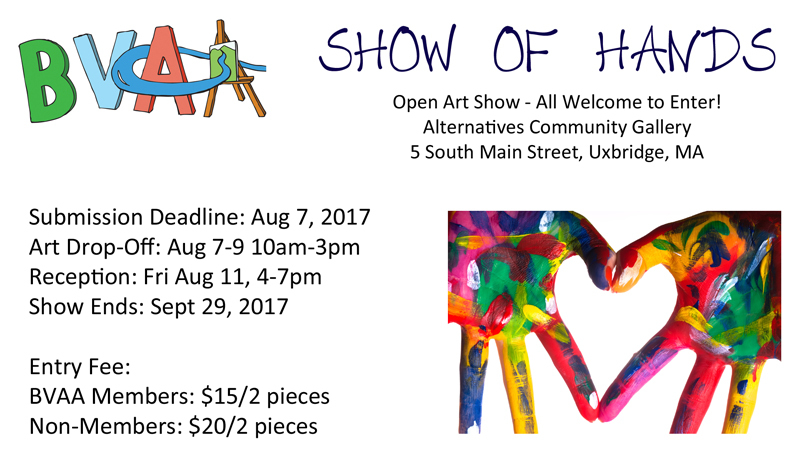 Get submissions in by Mon Aug 7th midnight for our BVAA open art show! Paintings, drawings, monotypes, and more! Any theme you wish! ‘Show of Hands’ Reception is open now!